More than 50 vendors, artisans and craftspeople—including D+K Renewal pictured above—from Seattle to Centralia set up shop on the second Saturday of the month at the increasingly popular Sodo Flea Market (2322 Utah Ave. S; 206.496.7005; sodoflea.com). 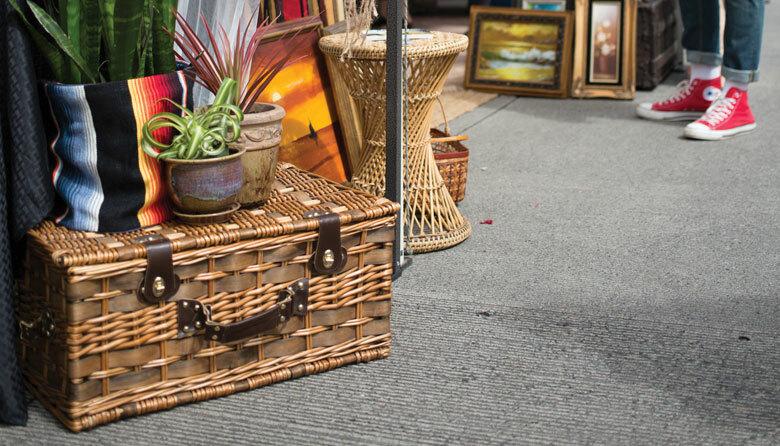 From its well-curated selection of vendors, browse for everything from vintage clothing, antiques and ceramics to furniture and home decor, such as macramé accents and potted plants. Bargains abound, as do one-of-a-kind, handmade creations well worth a little splurge.